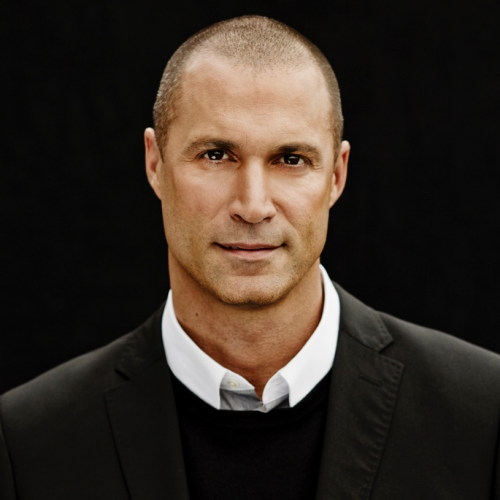 Nigel Barker is an internationally renowned photographer who opened his New York studio in 1996. He served 17 seasons as photographer and judge on the hit TV show America’s Next Top Model, which aired in over 140 countries, and hosted Oxygen Network’s modeling competition series The Face, starring alongside Naomi Campbell. Barker’s latest hit show, Top Photographer, premiered to rave reviews and a second season is in the works. Barker’s presence in the fashion and entertainment industry has resulted in an array of exciting projects, including the creation of his own furniture line, the NB1 Collection, available exclusively at Art Van Furniture; The NB2 Collection premieres October 2017. In 2016, he signed on as the Creative director of PRAI Beauty and became the Artistic Director for the new American menswear brand Flag & Anthem. He is also a founder and partner in the new NYC gym The Dog Pound. Barker has directed and produced films, documentaries, and commercials for everyone from Hollywood clients to international charitable organizations, and was awarded the “Film Heals” Award for Humanitarianism at the 6th Annual Manhattan Film Festival for his documentary Dreams Are Not Forgotten. Using the power of photography and motion pictures, he has been able to spread his humanitarian message to vast audiences through films, PSA’s, and traveling exhibitions. He has worked with several charitable organizations, including the Humane Society of the United States, the Humane Society International, Make A Wish Foundation, the Elizabeth Glaser Pediatric Aids Foundation (of which he is a board member), the Edeyo Foundation (board member), and the USO, where he serves as a digital advisory committee member. Drawing upon his 20+ years of experience in the fashion and beauty industries, he has two books—The Beauty Equation, published by Abrams, and his latest book, New York Times Best Seller Models of Influence, published by HarperCollins. Nigel currently lives in New York with his wife and renown Yogi, Cristen AKA @ChinTwins, and their two children, Jack and Jasmine.